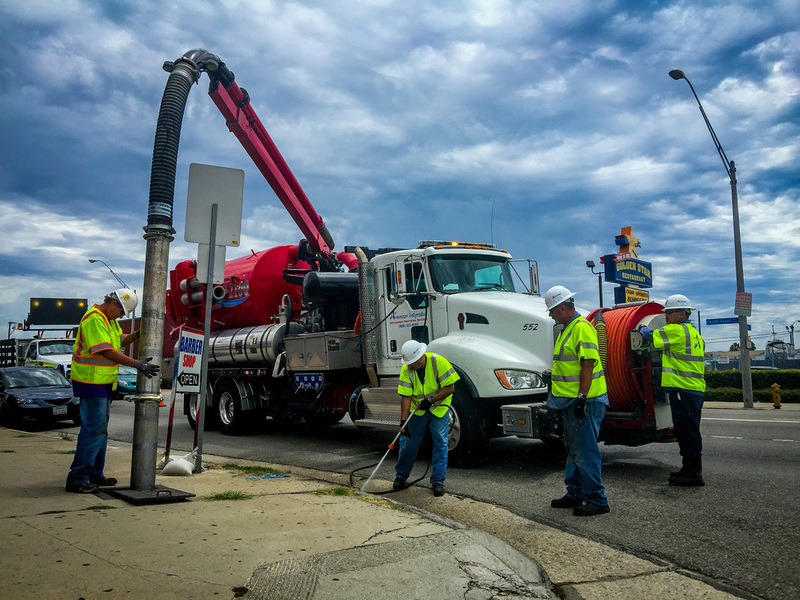 Clearing Storm Drains on SoCal Freeways - American Integrated Services, Inc. Remove sediment and debris from approximately 7,000 drain inlets on freeways in Los Angeles and Ventura County. Properly collect, store and legally dispose of sediments and debris which contained a variety of contaminants including metals and hydrocarbons. Clean all inlet grates and catch-basin covers, and reset and secure guards. Provide traffic control, including lane closures as necessary. 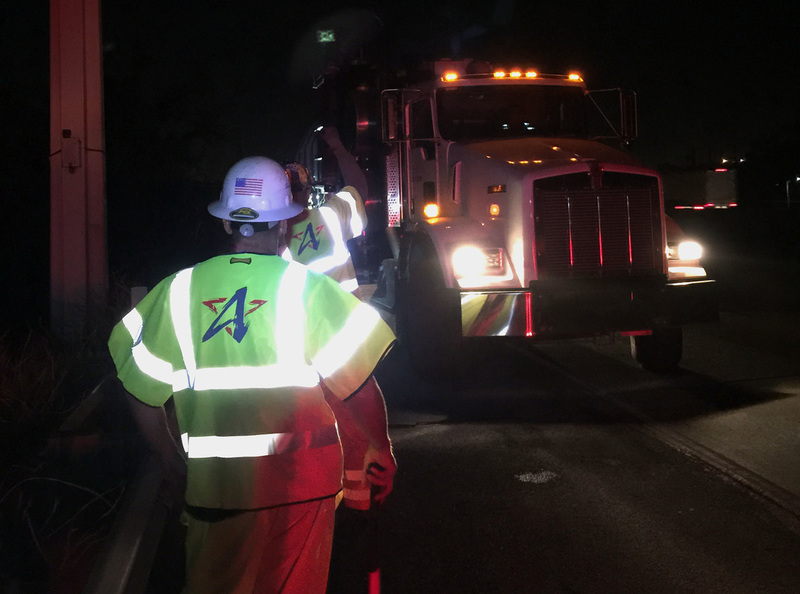 In order to meet the aggressive timeline of the project, AIS provided six crews: five operating at night and one during the day. Crews averaged 50 drains per shift. In addition to being HAZWOPER certified, each crew included confined-space certified personnel and equipment. Each crew was equipped with a heavy industrial vactor truck with jet/vactor unit.